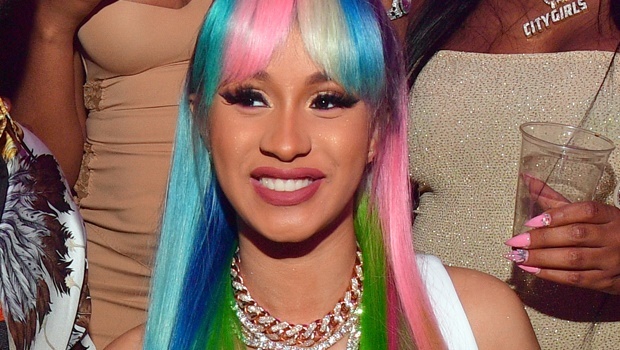 YOU'RE READING Cardi B speaks out about being told pregnancy would be "career suicide"
Plus other sexist comments female celebs have to deal with. Beneath the veneer of all the glitz and glamour that goes with being a celebrity are the souls of bone-crushingly tired women. Tired because, like us, they have to fight the gender wage gap, deal with everyday sexism and are often not taken as seriously as their male counterparts. For decades women in Hollywood and beyond have to endure the “what/who are you wearing?” question, along with other inane things that often deviate from talking about their art. According to Inquisitr.com, bestselling artist and rapper Cardi B recently revealed that some of her closest friends and her management team were actually worried about the potential risk that her pregnancy would pose to her success so early in her career. In a revealing interview with Rolling Stone, the musician, whose album has since reached platinum status, said that she first tried to keep her pregnancy quiet, but that it eventually leaked to key people before she could even reveal it herself. Glamour.co.uk adds that Cardi B faced a lot of social media backlash when she first went public with her pregnancy. And you can imagine that a lot of that stemmed from the perception that women couldn’t possibly juggle being a mom and having a career at the same time, with some even claiming that becoming pregnant so early is nothing short of career suicide. Of course, the music sales have proved otherwise, but the fact is that people need to stop assuming that being pregnant means incapable of working and bringing in the money. In fact, enough money to provide for her child and take time off to be a mom (if that is what she chooses). Unfortunately, women in the Hollywood industry are often subjected and upheld to ridiculous standards. There is so much evidence that women, especially those in the spotlight, are viewed through a very one-dimensional lens, seen as beings who aren’t equipped with the faculties to answer any questions except those pertaining to their appearance, their fashion choices or their weight. In another recent instance, legendary actress Michelle Pfeiffer had to field one such question. According to Vulture.com, at the recent 35th anniversary screening of Scarface - which was attended by the reunited cast which included Al Pacino, Brian De Palma, and Steven Bauer - Michelle was asked how much she weighed during the production of the film. Jesse Kornbluth, moderator of the panel, concern-trolled Michelle by using his daughter as the scape goat to justify asking this question, stating that as a father of a daughter, his concern is focused on body image, which is why he wanted to know how much she weighed for the preparation of the movie. Michelle, for her part, while looking absolutely gobsmacked at the gall of being asked this, responded very gracefully, reminding him that her role was that of a cocaine addict, which accounted for the physical aspect of her role. But, let’s stop there for a second. Out of all the questions you could possibly ask a veteran actor, the first thing you think of is to ask about her weight? What about questions that celebrate her career, her hard work and specific questions related to what life lessons she’s learnt over the years of playing diverse roles. Any question that places value on the actor’s contribution to the industry is a thousand times better than having the microscope being placed on whether or not she’s too thin, too fat or what makeup brand she’s wearing. Michelle isn’t the first, nor the last woman in Hollywood to experience this insulting line of questioning. And believe it or not, there are some male celebrities who are quick to shut down any sexist interview questions. Case in point: I remember when Mad Max, starring Charlize Theron first came out. READ MORE: Mariah Carey has broken her silence about her mental illness - was being called a diva easier to live with? According to Buzzfeed, during a press conference promoting the film, Harding was asked if he was surprised that the movie was so woman-centric and whether or not he thought that it was supposed to be a man’s movie. Tom, to his eternal credit, bluntly said no, but it’s the look on his face that is absolutely priceless. The WTF is this nonsense look that most women wear on their faces when confronted with sexist nonsense. In another instance, Avengers stars, Scarlet Johansson and Robert Downey Jr were asked questions which glaringly pointed out just how warped the perceptions of the entertainment industry are. According to babe.net, in an UK press conference Downey Jr was asked about the lessons he learnt playing Tony Stark, while, guess what? Scarlet was asked how she got into shape for the movie. Like her body was the only thing worth talking about because she couldn’t possibly be capable of intellectual thought and discourse. In another feature on mic.com, Anne Hathaway showed that she was definitely not going to take lightly, questions about her weight thrown her way. For her role in the Dark Knight Rises she was constantly asked about her health regime. In one interview she decided to bite back when an interviewer asked her about what she does to get in shape. She responded by asking if he was trying to lose weight. In yet another awful example of how women’s identities are only assumed to be valid if they have a man at their side, mega singer Rihanna was asked at a fragrance event by a reporter (shockingly it was a woman who asked this question) what it is that she’s looking for in a man. There’s actually a video clip of her clapback, which you can watch here. Laverne Cox, actress and transgender activist has had to endure her fair share of invasive and sexist questions too. According to Elle.com, when Laverne appeared on the Wendy Williams she was asked whether she has breast implants. She shouldn’t have had to say this, but Laverne’s graceful response gently reminded Wendy that while she was happy to have the conversation off camera, questions like these only highlight the fact that when it comes to transgender rights, people seem to be more interested in talking about transitioning and surgeries than they are about their rights as human beings. On and remember the time when a reporter told Serena Williams that there would be talk of her being one of the great female athletes of all time? The rampant sexism in Hollywood has often left many women feeling that they should simply be polite. But with the #metoo and #timesup movement it really feels like Hollywood women are finding their voice and biting back. And for those assuming that biting back is a form of bitchiness, consider this: there’d be no need for women to demand fair treatment if people simply asked better questions. It won’t fix everything. But it’s a good start.